The 2,072-acre White Clay Creek Preserve is in southern Chester County, three miles north of Newark, Delaware. The White Clay Creek Valley, which forms the core of the preserve, varies from steep to gradually falling terrain with some flat bottomlands, all drained by the creek. White Clay Creek Preserve shares boundary with White Clay Creek State Park of Delaware. Because White Clay Creek posses outstanding scenic, wildlife, recreational, and cultural value, it has been designated by Congress as a National Wild and Scenic River, and shall be preserved in free-flowing condition for the benefit and enjoyment of present and future generations. 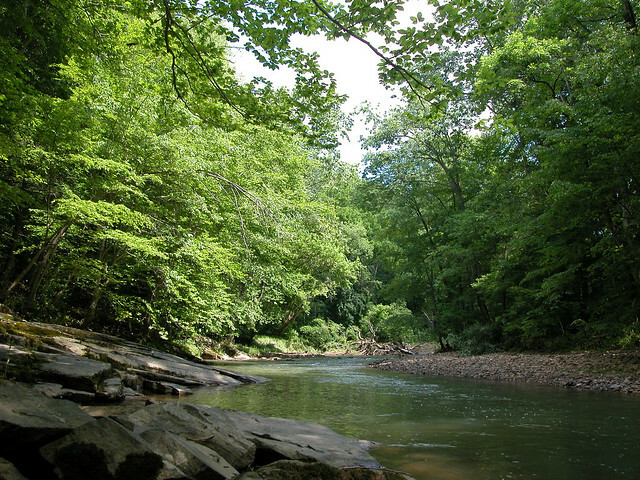 White Clay Creek Preserve is managed for low-intensity recreational day use activities throughout the year. Day use areas close at dusk. Contact the Ridley Creek State Park office for facility seasons and hours. The park is reached via PA 896, 11 miles south of the Forrestville/New London exit of US 1.